Terms in the glossary are classified in alphabetical order in English. Fair sharing of the advantages derived from the use of genetic resources. The national biodiversity strategies and action plans (NBSAP) are the main instruments of Convention application on a national scale. The Convention requires Governments to prepare a national biodiversity strategy (or a similar instrument) and to integrate this strategy into the planning and activities of all these sectors which may have (positive or negative) impacts on biodiversity. Common Database on Designated Areas or European Common Database on Designated Areas. The European Environment Agency, together with UNEP-World Conservation Monitoring Center and the Council of Europe have joined efforts in sharing procedures for the information included in the European Common Database on Designated Areas- the so called ECDDA. The European Common Database on Designated Areas- ECDDA, comprises information reported by countries which is made public by the EEA and it will be part of EUNIS. It covers the complete geographical area of Europe, the full geographical area under the responsibility of European countries, as well as other States and Territories related to key initiatives of the European region. ECDDA feeds into the World Database on Protected areas managed by UNEP/WCMC, ensuring that European countries report once and contribute to data sets at both European and global levels. Assist the European Environment Agency in its task of reporting on Europe's environment by addressing state and trends of biodiversity in Europe. Provide the relevant information to support the implementation of environmental and sustainable development policies in Europe in particular for EU nature and biodiversity policies (DG Environment: Nature and Biodiversity). Build capacity for reporting on biodiversity in Europe, mainly through the European Information and Observation Network (Eionet). The Marine Strategy Framework Directive (MSFD) results from the European Commission's Marine Strategy proposal, contained in a blue paper approved by the European Council on 14 December 2007 which aims to promote an integrated marine policy for the European Union (Marine Strategy Framework Directive no. 2008/56/EC of the European Parliament and the Council of 17 June 2008). The objectives of the Directive require achieving or maintaining good ecological status of the marine environment by 2020. The Convention for the conservation of the North-East Atlantic marine area ("OSPAR convention") was opened for signature at the ministerial meeting of the Oslo and Paris commissions on 22 September 1992 in Paris. The OSPAR Convention came into force on 25 March 1998. It replaces the Oslo and Paris Conventions, but the decisions, recommendations and other agreements adopted under those conventions continue to be applicable and are legally unalterable, unless terminated by new measures adopted under the 1992 OSPAR Convention. Appendix IV on the assessment of the quality of the marine environment. The boundary of a marine protected area is called the perimeter. The largest perimeter, which may comprise sub-perimeters, is the main perimeter. Sub-perimeters are areas that are classified, described and mapped in the official text designating the marine protected area. Sub-perimeters are often areas in which protection is strengthened. A marine protected area may have one or more sub-perimeters. This directive, also referred to as the "Habitats" Directive, aims to contribute to protecting biodiversity in Member States by defining a common framework for the conservation of habitats, plants and animals of community interest. The "Habitats" directive establishes the Natura 2000 network comprising special conservation areas designated by the Member States under the directive. Moreover, it also includes special protection areas established under the "Birds" directive 2009/14/EC. The establishment of regional advisory councils, which are pillars of the Common Fisheries Policy (CFP) reform, aims to further fisheries sector stakeholder participation in policy making. Thanks to these permanent forums, all relevant parties will be able to communicate and cooperate in developing and applying the CFP. Each RAC has a general assembly and an executive committee. Scientists are invited as experts to take part in the work of the RACs. Representatives of the fisheries sector and other interest groups from third party countries by invitation from the RAC. Sites designated under the Habitats Directive (92/43/EEC), officially approved by the European Commission and officially designated by the national government. ZEC, Zona Especial de Conservação, in Portugal. Several steps are required to designate SACs and differ depending on the country. SAC, the British government has officially designated the site. From the "cSAC" stage onwards, the site is considered "designated". Before that, it is only "proposed". ZSC, Zone Spéciale de Conservation (Special Area of Conservation), the French government has officially designated the site. From the "SIC" stage onwards, the site is considered "designated". Before that, it is only "proposed". In France, the ZNIEFF (Zones Naturelles d'Intérêt Ecologique Faunistique et Floristique, natural areas of ecological interest for fauna and flora) served as a basis for the inventory of the French natural heritage. These sites then served as a basis to identify and select sites which may be designated under the Habitats Directive (92/43/EEC). ZEC, Zona Especial de Conservación, the Spanish government has officially designated the site. From the "LIC" stage onwards, the site is considered "designated". ZEC, Zona Especial de Conservação, the Portuguese government has officially designated the site. Sites designated under the Habitats Directive (92/43/EEC), which have been officially approved by the European Commission but are yet to be designated by the national government. SIC, Sítio de Interesse Comunitário, in Portugal. Sites designated under the "Birds" Directive (2009/147/EC), officially designated by the national government. ZPE, Zona de Protecção Especial, in Portugal. The UNEP World Conservation Monitoring Centre (UNEP-WCMC) is a collaboration between the United Nations Environment Programme, the world's foremost intergovernmental environmental organization, and WCMC (UK), a UK-based charity. UNEP-WCMC is UNEP's specialist biodiversity assessment arm, and the Centre for UNEP's collaboration with WCMC 2000. 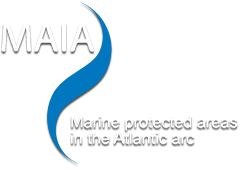 World Database on Marine Protected Areas. Since 1981, UNEP-WCMC, through its Protected Areas Programme, has been compiling this information and making it available to the global community. The WDPA is a joint project of UNEP and IUCN, produced by UNEP-WCMC and the IUCN World Commission on Protected Areas working with governments and collaborating NGOs. The World Database on Protected Areas (WDPA) is the most comprehensive global spatial dataset on marine and terrestrial protected areas available. Je viens de consulter cette page, http://www.maia-network.org/homepage/glossary, je te la conseille.